PARANORMAL ACTIVITY 3 NOW AVAILABLE ON BLU-RAY™/DVD/VCD - Hello! Welcome to my blog! You've heard about it. You've seen the engaging trailers. You've (somehow) cursed after being shocked with the scenes that you saw. Now, you have the chance to take it home with you.... Not the actual Paranormal stuff, but the DVD!!! The Paranormal Activity is a record-breaking franchise that has terrified audiences around the world returns with the scariest story yet as PARANORMAL ACTIVITY 3 debuted this February from Paramount Home Entertainment on Blu-ray, DVD and VCD. “Terrifying” (Time) with “heart-pounding scares” (BloodyDisgusting.com), PARANORMAL ACTIVITY 3 takes audiences back to where it all began with the masterminds behind the first two films returning to craft a hauntingly chilling follow up. Directed by Henry Joost and Ariel Schulman, the filmmakers who created the unsettling sensation Catfish, PARANORMAL ACTIVITY 3 achieved the biggest theatrical debut for a horror film ever, ultimately earning more than $200 million worldwide. 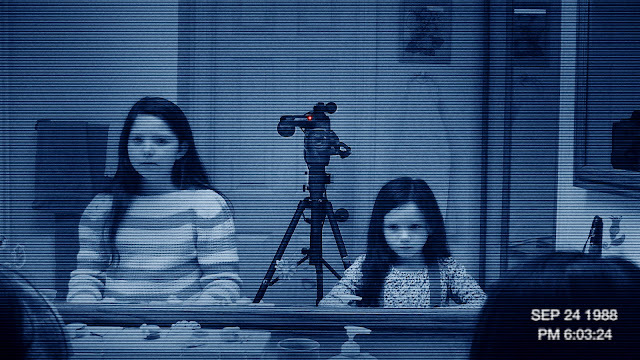 The story of Paranormal Activity 3 takes you back to where it all began and the activity is more intense than ever. The cameras are on and recording the chilling moments when evil begins to terrorize young sisters Katie and Kristie for the first time. Brace yourself for the horror phenomenon that delivers "heard-exploding scares" so frightening that "the last 15 minutes will mess you up for life." Paranormal Activity 3 is now available in all your favorite stores. So grab one now! 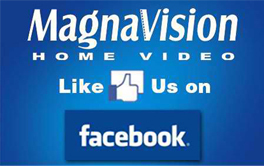 Join mixofeverything and Magnavision's upcoming contest and get a chance to Win one of the two Paranormal Activity 3 DVD and experience A New Level of Terror. It also includes Special Features like Scare Montage & Dennis' Commercial. Check out how you can score a free DVD copy of the Paranormal Activity 3. :) check it out here.